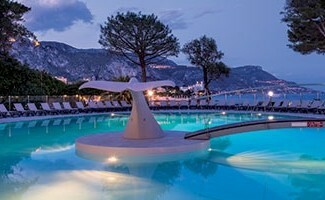 Relax in a true haven of peace dedicated to serenity near Nice, in one of the most beautiful bays of the French Riviera. Our hotel offers you an enchanting break combining the gentle Mediterranean way of life and the massages facing the sea. 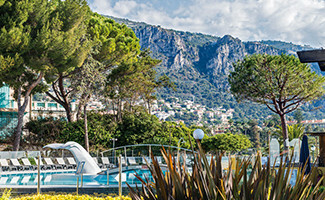 Between mountain and sea, enjoy your stay on the Cote d’Azur. 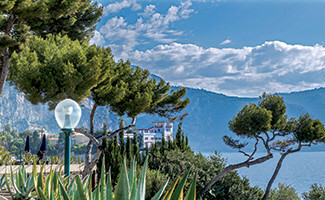 Overlooking the famous villa of Kerylos is starting point of many walking trails in the huge peninsula of Saint-Cap-Ferrat. Delcloy hotel contributes to a retreat of absolute calm and well-being. Located in the heart of 3 hectares wooded park, our 3-star hotel personifies serenity. Our Delcloy hotel invites you to live a sensory experience to create unique memories in the middle of an amazing green setting. Relax and soothe your muscles and take care of your body facing the sea. Our team is at your disposal to advise you on the best choice of beauty treatments and relaxing massages. 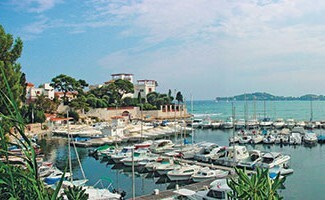 Take advantage of the stunning view of the “Baie des Fourmis” and offer you moments of softness in a serene seascape. Let yourself be seduced by our traditional massages to restore your radiant complexion and release stress. Beauty treatments, night massage with candle… (Additional service charge). Keep your body and brain finely tuned, we offer a range of meditation techniques to help you to rejuvenate. Our team invites you to discover our yoga sessions in a preserved environment. Add a little sunshine in your life; choose our hotel to relieve your tension in your mind and your body ! Spend an unforgettable holiday in the middle of natural breathtaking landscape at the Delcloy Hotel! 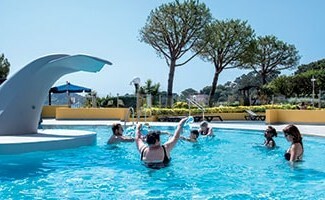 Practice our aquagym and vela (aquabike) classes in our heated outdoor pool to improve endurance and muscle tone. In a true oasis of nature, remodel your silhouette in a friendly atmosphere facing the Mediterranean Sea. Come and enjoy the warm sunshine of the southeast of France to relax on the deck chairs on the main terrace or go swimming in the pool. The hotel’s private cove is the ideal place to enjoy a plenty of nautical activities. 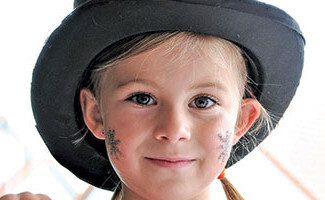 Our hotel organizes excursions with guides to explore the region through walks and its natural landscapes of the coast. 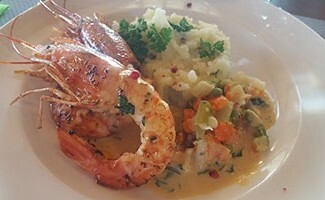 Come and taste the delicious local dishes in our restaurant “Les 2 Caps” with authentic cuisine and Mediterranean flavors’.